Most releases in Big Finish’s monthly Doctor Who range must fill two hours of run time. This can allow for complex stories that have the feel of the original TV series’ structure. However, sometimes stories don’t need all that time, and shorter audios echo TV serials such as The Awakening and Black Orchid. There is an excellent piece of sound design near the beginning of this story when the voices of the miners slowly quieten as the “camera” moves away from them. The sound of the TARDIS landing grows louder and louder as it materialises in the tunnel. 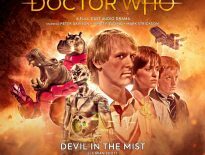 This is honestly one of the best pieces of sound design I have heard from Big Finish. The whole play has an amazing soundscape that envelopes you in the texture of the early 20th Century Mining town. I may sound like a psychopath, but I love it when the Fifth Doctor is sad. Peter Davison does a great job at conveying his Doctor’s weariness in the face of horror. There is a reason why he is always trying to get to the Eye of Orion: he just wants a break. Sadly, this is not something he gets when the TARDIS lands in the shaft of a welsh mine moments before an explosion. Written by Jamie Anderson, this is based on the real events of 3rd September 1902, in which a disaster at Abertysswg cost the lives of 17 miners. It is these emotions that fuel the play. There are deaths in the mine and Kamelion does not know how to process loss. He states that he has no personality of his own and does not understand why others grieve. 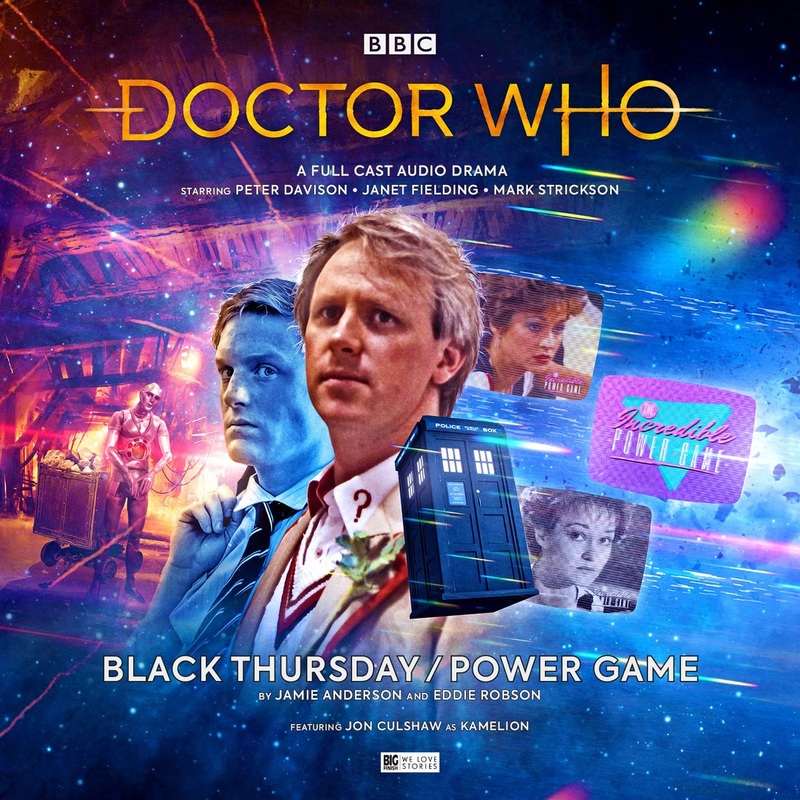 Black Thursday attempts to humanise Kamelion and create the beginnings of a specific ‘character’ for him. I hope this is the direction future releases with the robotic companion take as repeated stories about Kamelion coming under the influence of a strong physic presence can get boring. Colour! Not a word you would often use to describe an audio play, but Eddie Robson’s Power Game evokes the vibrant madness of a cheesy gameshow. Tegan Jovanka (Janet Fielding) appears to be trapped in a TV show that is hijacking the airwaves at random times. Nobody knows when it will be on, but it has become quite the cult hit in science fiction circles. The supporting cast are a group of sci-fi geeks that are very easy to empathise with, rather unsurprisingly. The mundane setting of their house helps to easily build a picture of the action in your mind. It is wonderfully juxtaposed with the crazy world of the game show which will be familiar to anyone who has watched anything from The Krypton Factor to Hole In The Wall. ← Dodo-A-Gogo: Are We Being Unfair to Ms. Chaplet?